From Jew smashing to AASU bashing … and next? From Jew smashing to AASU bashing… and next? Among various crimes against humanity committed by German Fuhrer Adolf Hitler’s Nazi regime, the killing of Jews in millions perhaps was the worst of crimes against humanity in modern history. It is ordinary common sense that the Nazis did not turn Jew killers overnight. Beginning with atrocities and persecution against the Jews, it took a considerable period of time for the regime to degenerate into a savage force of slaughterers of Jew. While a comprehensive definition of fascism may run into volumes, the anti-people and savage ideology in its mildest form imply total intolerance by the powers that be towards any kind of opposition, no matter how peaceful, by the people and/or other civil society towards any policy or measure adopted by the Government. Such intolerance finds manifestation in various forms. At the initial stage and in its softest form, a fascist state lets loose police highhandedness on peaceful demonstrations and protests carried out fully in accordance with democratic norms. Side by side, a fascist regime launches a disinformation campaign based on lies, falsehood and distortion of facts and history while spewing venom on ethnic, linguistic and communal basis with the avowed object of dividing the society. At this juncture, it may be pertinent to recall that the edifice of the disinformation campaign as propounded by Hitler’s propaganda minister Dr Joseph Gobbles was anchored on his infamous announcement, ‘a lie repeated a thousand times becomes a fact’. As of now, the present BJP dispensation seems to be following the line of the Nazi propaganda minister in respect of the obnoxious Citizenship (Amendment) Bill, 2016 (CAB). So far as Assam is concerned, it is clear as daylight that the purpose of the Bill is to grant Indian citizenship to lakhs of post-1971 Hindu Bangladeshi migrants already based in the State in sheer violation of the historic Assam Accord. This in turn would lead to the creation of a ever-burgeoning Hindu vote bank for the BJP. Wonder of wonders, the State BJP heavyweights are unsuccessfully trying to dupe the indigenous people of Assam with its propaganda that the hoards of Hindu Bangladeshis will only add reinforcement to the culture of the indigenous people of the State. One also wonders as to how the saffron brigade would defend the bombardment on the fragile demographic structure when lakhs of Hindu Bangladeshis settle permanently in Assam while a lot more are reportedly awaiting to enter the State in the years and decades to come. While the composite culture of the State is a colourful mosaic of vibrant and exclusive cultures of various communities and ethnic groups with the satras at the apex, the culture of the Hindu Bangladeshis, though rooted in Hinduism, is virtually at huge variance with the culture of the indigenous people of Assam although both the cultures are highly respectable and hallowed. Historically speaking, the prospect of invasion by an imported culture in the arena of an existing culture can only lead to confrontation and unrest. The scenario likely to evolve can only be termed as discontent of distorted civilization. FIle image of BJP workers along with Minister Himanta Biswa Sarma had taken out a bike rally from Rangia to Nalbari when AASU activists waved black flags before the minister’s convoy..
Be that as it may, presently the disinformation campaign in Gobbles style by several BJP heavyweights of the State is presently in full swing. In a State under fascist regime, disinformation campaign is accompanied by brute and savage crackdown by the police on every kind of dissent or protest by the civil society. Again, during such crackdown the police force, almost as a rule, is hand-in-glove with the ruling party and take orders from their political bosses. 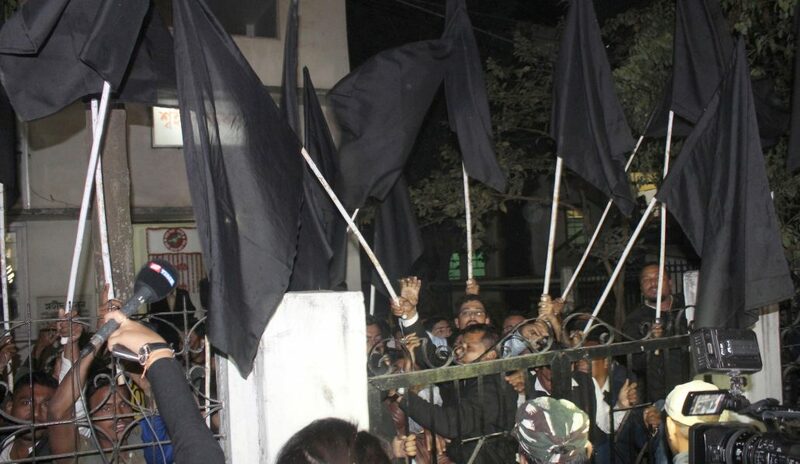 Only recently hundreds of BJP workers swooped down on a group of AASU activists in Nalbari for displaying black flags at some BJP heavyweights. The barbaric attack by BJP workers left several AASU activists injured. To put records straight, the savagery against the student leaders and their supporters was reportedly carried out under the very nose of the police. While the law in a civilized society warrants that those indulging in violence be arrested, in Nalbari the police played a totally opposite role. 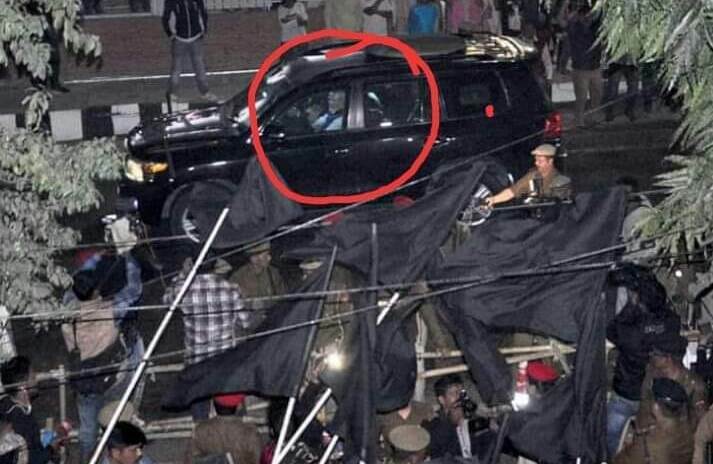 The BJP workers who took to violence were given a free hand while a few AASU activists were arrested for displaying black flags at some BJP high ups. Next, as per AASU allegation, the arrested AASU workers were beaten up black and blue inside the police station by BJP workers, causing the students’ body to call for a one-hour highway blockade the next day. This indeed is a perfect example of fascism at work, bulldozing all democratic norms. On the other hand, while the State has been rocked by massive protests against the CAB over the last few months, such protests have all along been peaceful. The assault of AASU activists by BJP workers in Nalbari is the first instance of violence in the State since the protest movement against the Bill got underway. For record it must be noted that the BJP took to violence first. This beating up of AASU workers by the saffron brigade was followed by assault on district BJP leaders by AASU workers in Tinsukia a few days later. Whereas in Nalbari the police found nothing wrong in the violence let loose by BJP workers on AASU activists out in the open as well as allegedly inside the police station, in Tinsukia the cops wasted no time in arresting several AASU activists for the violence. The overall picture emerging is that peaceful protesters can be beaten up at will by the ruling party workers even inside police station and that the police will only arrest those taking to protest, no matter how peacefully, against the ruling dispensation. Further, those taking to violence against the BJP workers in retaliation will face severest of police wrath as in Tinsukia. Again, the state administration and the police are fully geared up to frame serious criminal charges against prominent leaders opposing the anti-Assam Bill. Such charges have already been brought against three frontline leaders opposing the Bill. 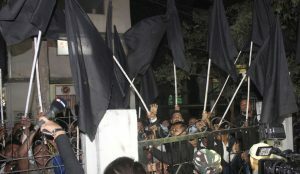 The signal sent by Dispur is loud and clear – even the most peaceful of protests against the ruling party and the Government would not be tolerated. If this is not fascism, where is fascism to be found? Recalling the growth of fascism in Germany, it must not be forgotten that when Hitler initially made the Jews the target of his attack, the other communities were of the view that they were quite safe. However, as time rolled by, more and more groups and communities came under attack by the Nazi regime. Towards the end, the very Germans, about whom Hitler had been boasting as being of pure Aryan blood and superior, were also not spared. 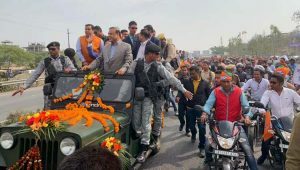 In their pro-CAB campaign in the last few months, the State BJP heavyweights in their open Hindu Rashtra drive in sheer defiance of the Constitution of India, initially began their mission by projecting the Muslims as the evil force afflicting the State – the projections being generally based on lies, falsehood and distortion of facts. A state BJP heavyweight even went to the extent of drawing up a list of State Assembly seats that would in the next polls go to the Muslims. Significantly, some of the seats in the list are reserved for the Schedule Caste. It is almost as clear as daylight that a sinister attempt is on to create a huge communal divide in the State. Fortunately, Assam being the land of Mahapurush Sankardeva and Azan Pir, the communal trouble mongers have so far failed to make any headway in their satanic design. As was the case in Hitler’s Germany, close on the heels of its communal design against the Muslims, the AASU became the next target of the saffron brigade of Dispur. Fascism warrants that all opponents to the ruing regime, real or imaginary, must be eliminated. That being the fascist philosophy and approach adopted, one only feels that with the passage of time, more and more groups and communities may come within the ‘firing range’ of the saffron dispensation.